A few days in LA | Information...Super, Flyaway! “Hollywood is a place where they’ll pay you a thousand dollars for a kiss and fifty cents for your soul.” – Marilyn Monroe. 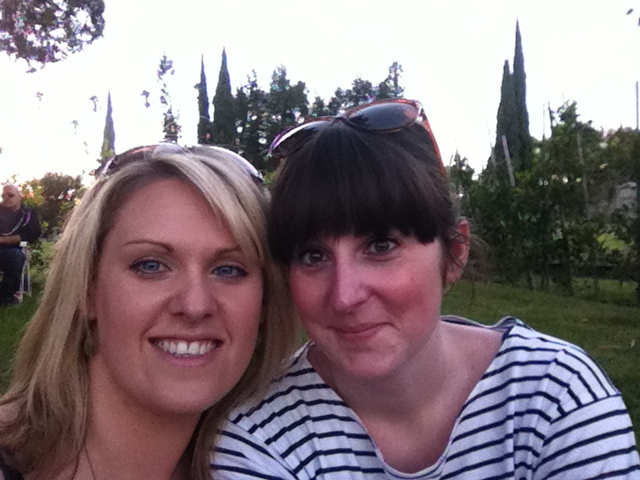 In August 2012, myself and one of my closest friends Steph decided to treat ourselves to a fly drive in California as part of our 30th birthday celebrations. 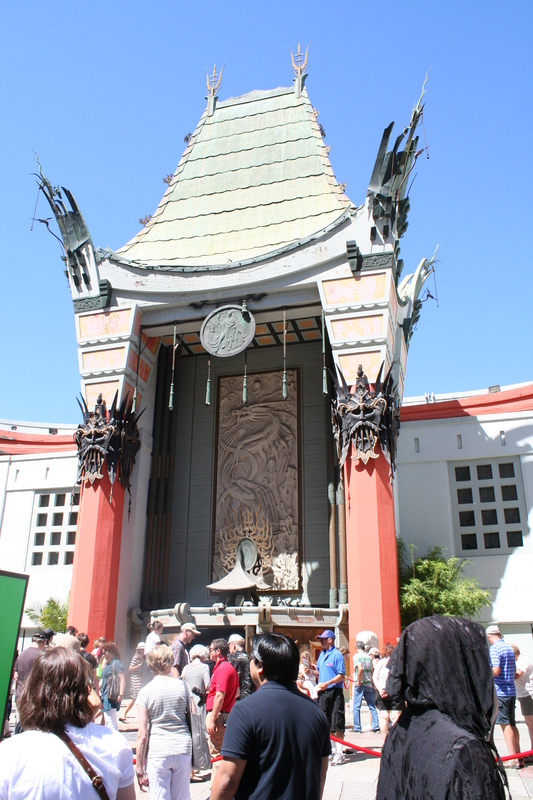 The first stop of our 2-week trip was Los Angeles – the City of Angels – where we would spend several days seeing the Hollywood sights. If you’re heading to LA LA Land for a few days then check out our tips and activities and see if something there inspires you. 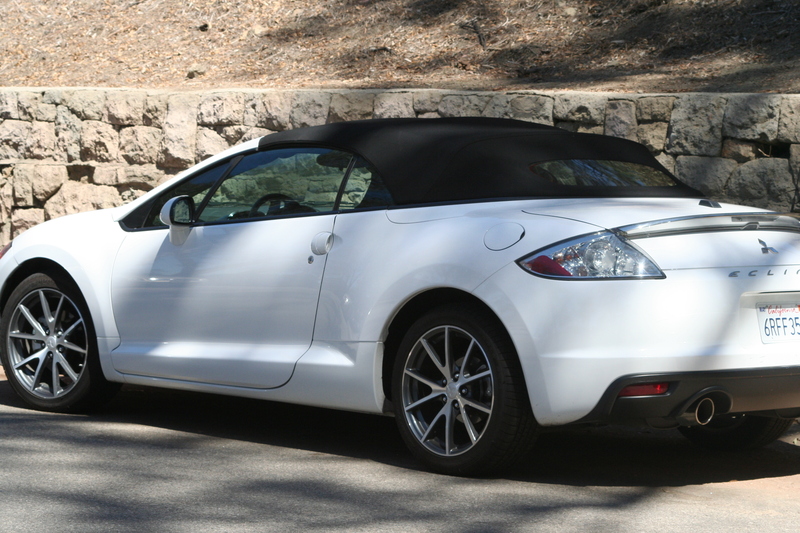 Part of the big spend of our trip was our convertible car – a white Mitsubishi Spider. 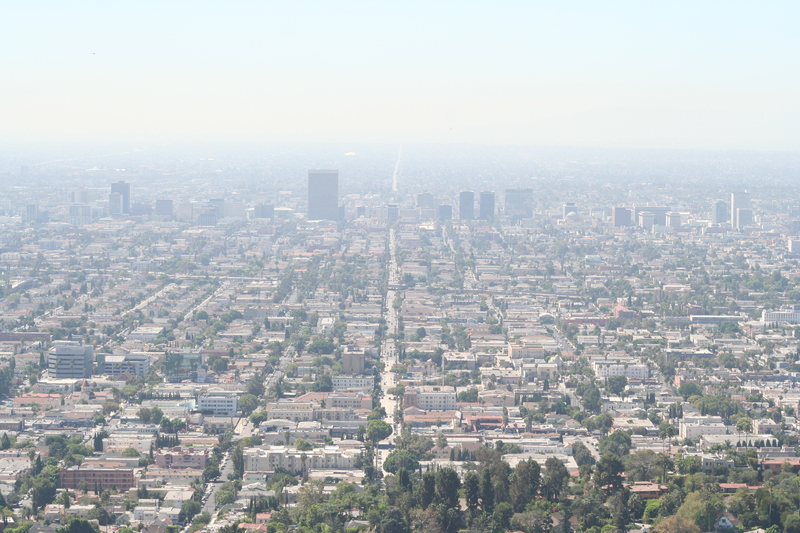 Our excitement when we picked up the car from the airport was palpable – but this soon gave way to knee-knocking fear at the sight of LA’s 8 lane freeways and 4 lane boulevards that ran the entire length of the city in huge blocks! You would think that a city in a large square would be easy to navigate, but even our hardened map skills were tested to their limits. My first tip would be to invest in a GPS system – we were stubborn and relied on printed maps – we survived, but it might save you some extra wrong-way miles if you go digital! Despite our hot wheels, our budget did not extend to fancy accommodation – so we did some research before we left the UK and decided to stay in a hostel called the Banana Bungalow. 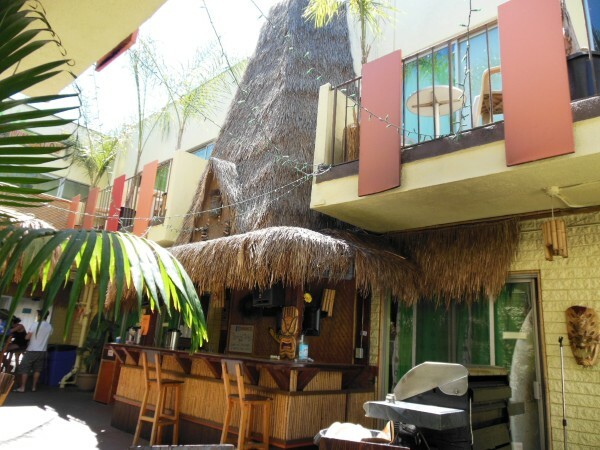 They have several locations but we decided on the West Hollywood hostel – a very central location on Melrose, only two blocks from the Sunset Strip. The hostel has a great vibe with friendly staff and good facilities, including fully stocked kitchen with fridges, free parking, free WiFi and a bar with social nights. We booked a private room with en-suite bathroom for $85 a night which is a steal compared to the big hotels in central LA. There were plenty of cheaper options available in the hostel if we had taken a bed in a dorm room, which was around $24 – $27 a night. 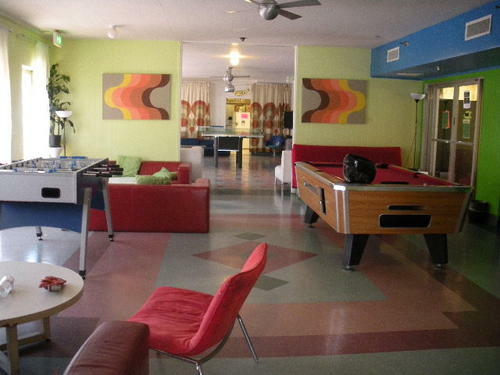 When you spend most of your time outside of the hotel sightseeing, why would you need to spend a fortune on the room? One of the first and foremost activities in LA is the hike (or drive) up to the Griffith Observatory in the Hollywood hills. The observatory and attached planetarium was built in 1896 using funds donated by Colonel Griffith J. Griffith (hence the name!). Even if you’re not interested in astronomy, it’s still worth a visit up the hills to this spot. The site has been the backdrop to many famous movies, including Charlie’s Angels, Men in Black, Terminator and Transformers (amongst many others). 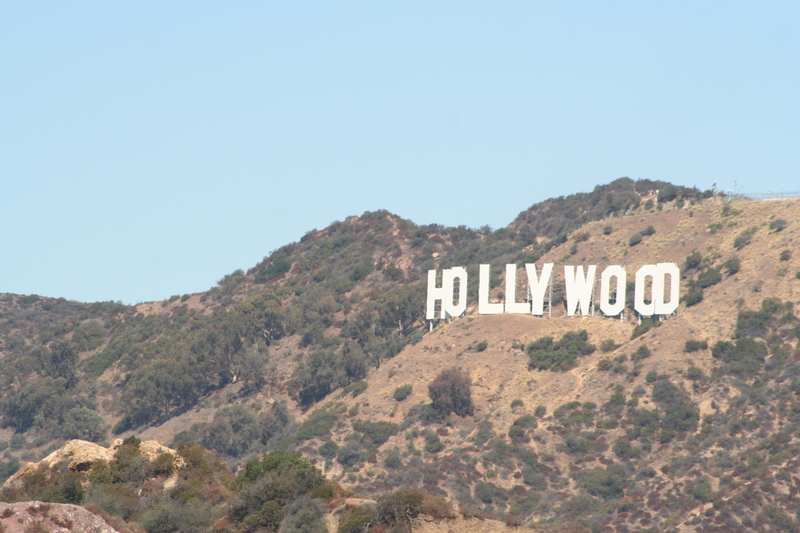 It has a fantastic view of the Hollywood sign on the opposite hillside and spectacular views across the whole of LA – reaching as far as the Pacific Ocean in the distance. 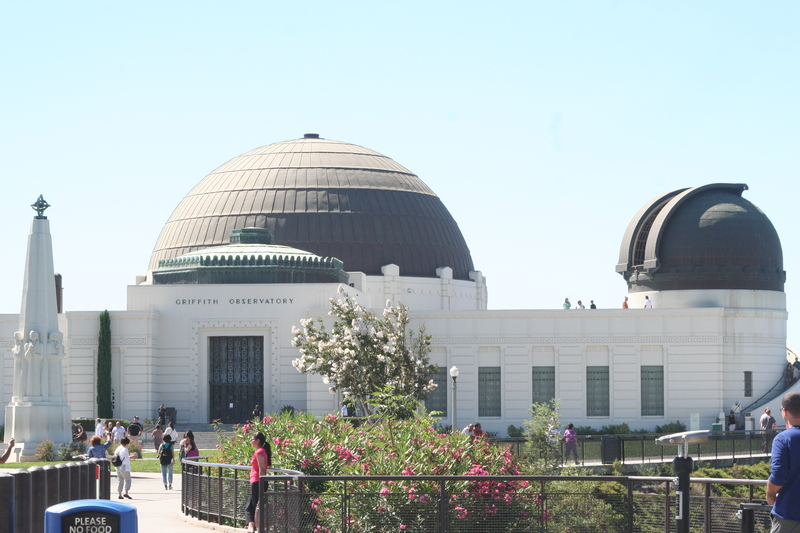 We decided to drive up the hills to the observatory which was surprisingly easy – forgetting that unlike London, everyone drives in LA and so many locations cater to visitors in vehicles. 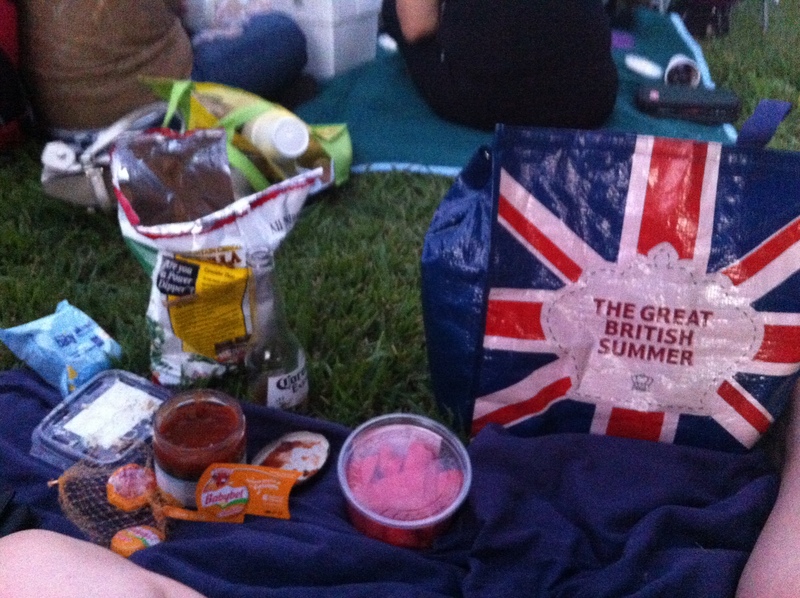 We were shown to a place on the side of the road to park and there were no charges for this (again, surprisingly). However, the hikers all looked to be having a great time coming up the hillside in droves – chatting and enjoying the views – so this could also be achieved on foot (with a little extra effort required!). To celebrate Steph’s birthday we decided to look for something unusual to do on the Saturday night in LA – and scouring the internet we hit gold! 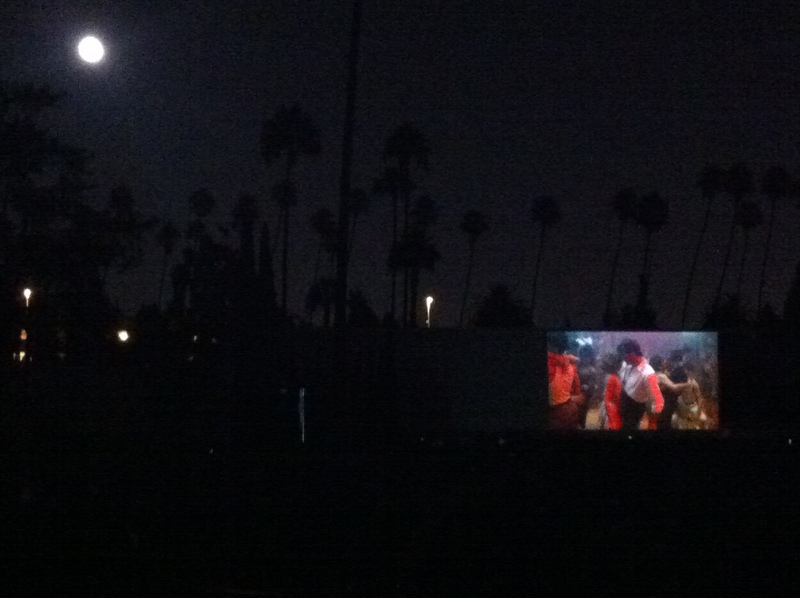 A company called Cinespia puts on outdoor cinema events in the Hollywood Forever Cemetery on Santa Monica Boulevard. 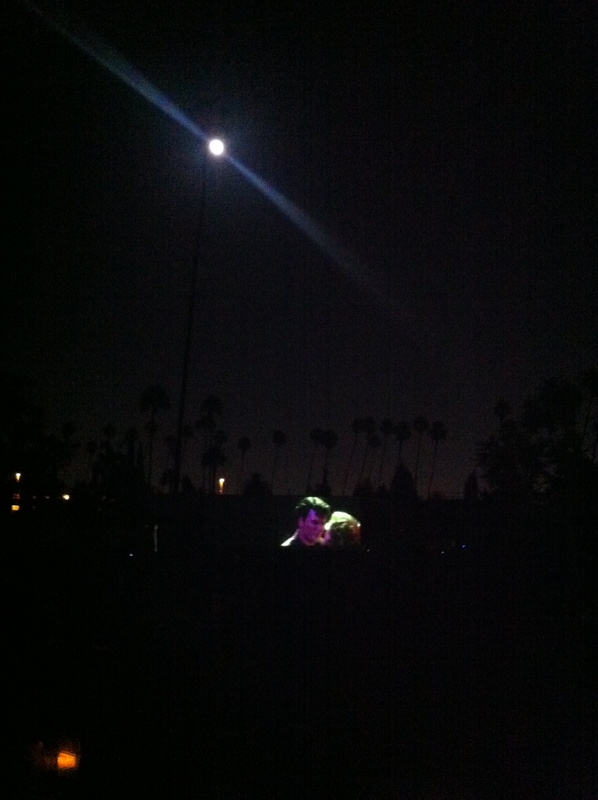 Now it may seem a little creepy watching movies in a cemetery but this particular resting place consists of a large area called Fairbanks Lawn next to a huge white mausoleum which they beamed the movie onto. The movie that particular night was Dirty Dancing – a girlie favourite! We stopped at a supermarket and stocked up with nibbles and beers, which was too much fun as an activity itself! America supermarkets are amazing – I recommend visiting Whole Foods – they have one or two in the UK and they are my favourite! 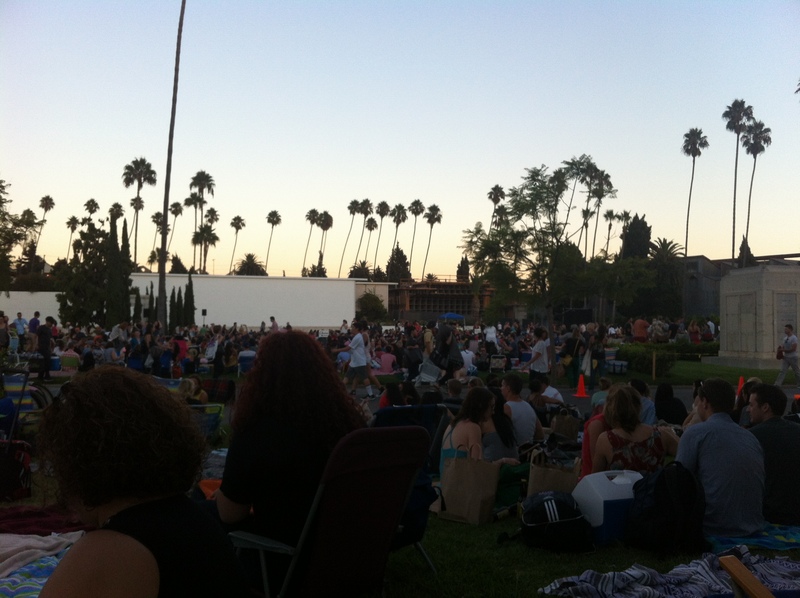 After stocking up, we decided to queue for tickets to Cinespia on the door, as they had run out on the website – but be warned, many other people attempt this too, so buy in advance if you can or come extra early. Tickets are a very reasonable $12. You are encouraged to bring blankets, cushions, picnic food and alcohol – the atmosphere inside was absolutely buzzing – watching an old favourite with a keen crowd makes for a great experience and we toasted Steph’s birthday in style! 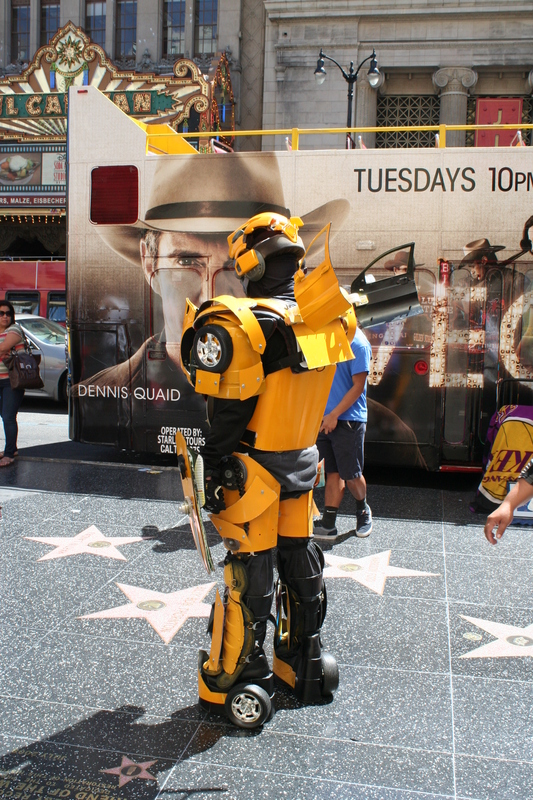 No visit to LA is complete without a visit to the stars on Hollywood Boulevard. Yes its touristy, yes its crowded, and yes it looks like every photo of it that you’ve ever seen on TV. But you do have to see these things for yourself! 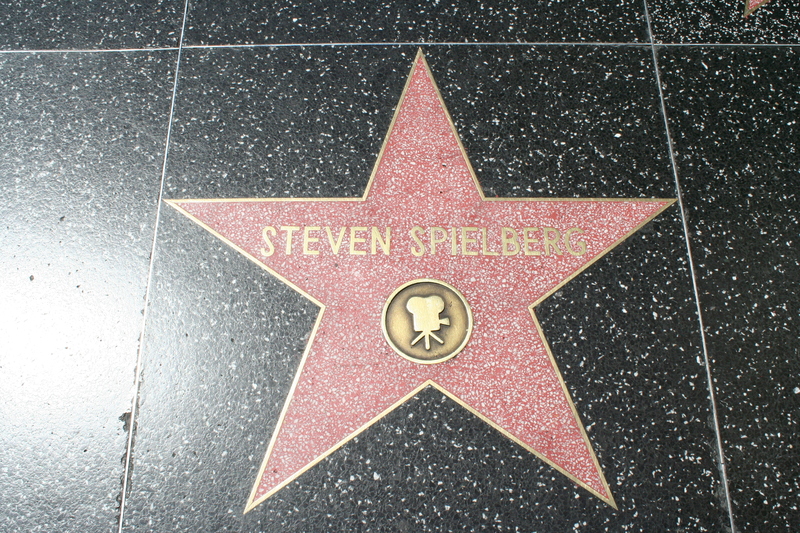 Half of the fun is finding a star with a name of someone who you particularly like or admire – in my case this was the legendary Steven Spielberg. We walked along the streets for an hour or so, watching the cheesy men dressed as movie characters trying to hawk tourists into paying for a photo with them. We stopped at a small food window and bought a slice of pizza the size of a piece of A4 paper for a couple of dollars – perfection! Inspired by the truly touristy, we stopped the car and bought a map for $15 from a woman on the side of the road. Trust me – it a pure and outright waste of money! But we went into it knowingly and willingly – happy to spend our dollars on a large folding piece of paper with celebrity names it, which lead us to large gates and high walls with no way of actually seeing famous people or their homes! But the drive up into the hills is worth doing without the map, simply to see the gorgeous grounds and houses (in amongst the high walls). Maybe skip the map buying and just freestyle it around the hills. Venice beach is 15-20 miles west of the centre of LA and an easy drive – there are also buses that head this way if you are travelling with local transport. This area is a very bohemian stretch of waterfront consisting of cafes, t-shirt shops and street sellers. If you like people watching, this will be like heaven for you! There is a guy who lives in a van on the waterfront who protests with signs about everything from global warming to the government – very entertaining! Steph and I spent a whole afternoon wandering slowly up the beach front, watching skaters in the skate parks and the body builders on Muscle Beach. There are buskers singing, break dancers performing and all manner of arts and crafts on display. This is a must-see for any visitor to LA. So what will you be doing with your time in La La Land? Like the sound of any of the things we did?